You may at times have customers who forget their bills, or create a habit of not paying their invoices on time. ZipBooks gives you a smart solution with billing reminders. 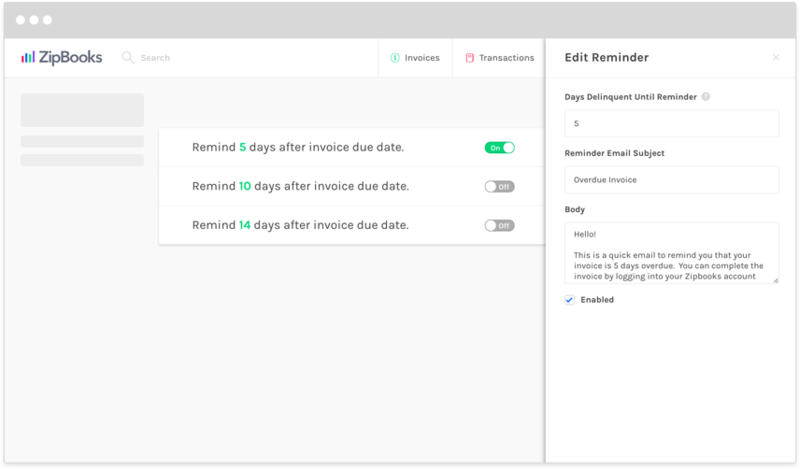 Simply set up a reminder for a certain number of days after an invoice due date, enter the email subject and message, and your reminder will go out automatically every time. Add multiple reminders for each customer to increase your efficacy in collecting money on time.